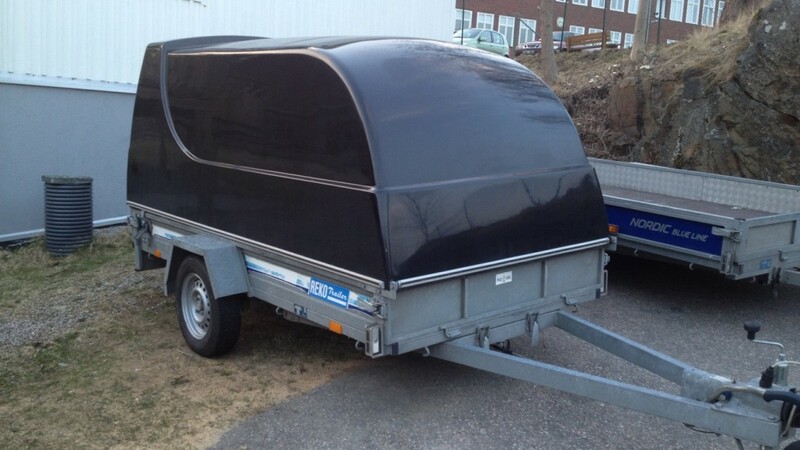 For transport of larger items. 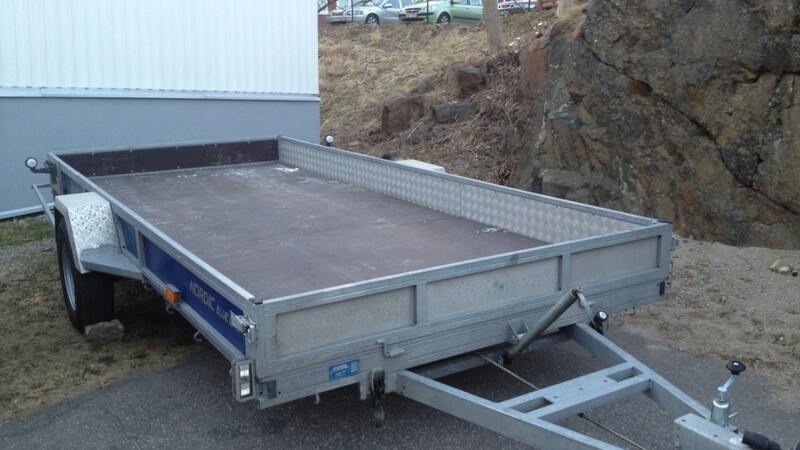 Reko trailer with cover, braked. Total weight 900kg. Bed dimensions 1,33 x2, 8m. Tilting platform. 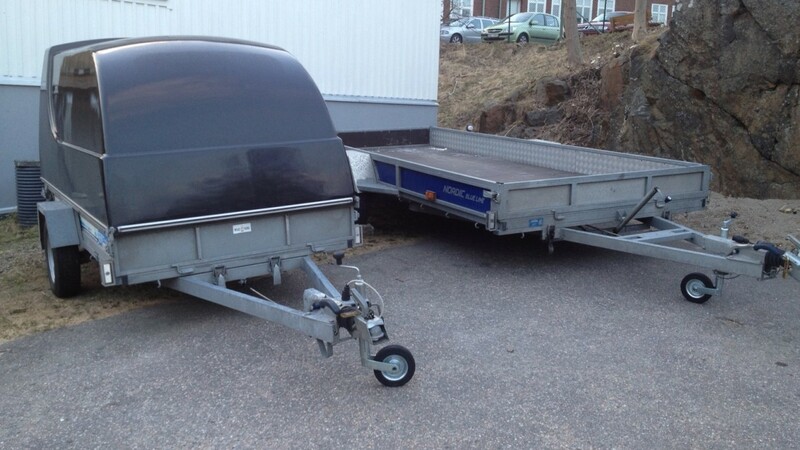 Nordic trailer, braked. Total weight 1300kg. Bed dimensions 1,9 x4, 3m. Tilting platform with crank and loading ramp with protection for snowmobile.